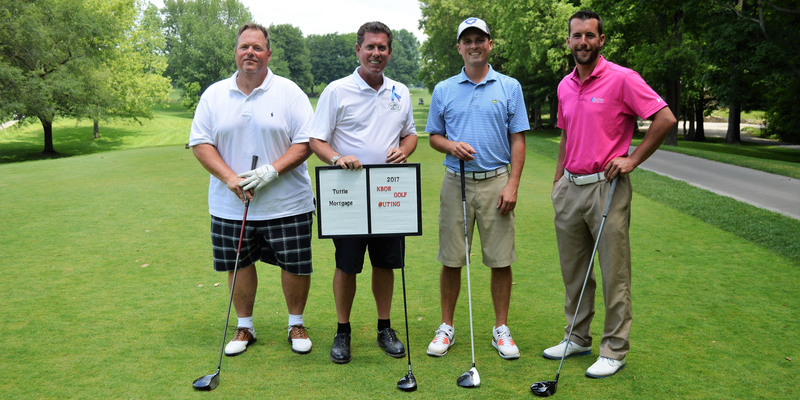 Pictured, from left, are winners Scott Laughner, Tom Tuttle II, Scott Beasley and Andy Wolf. LEESBURG – The Kosciusko Board of REALTORS® 24th Annual Charity Golf Outing held on Monday, June 12, at the Tippecanoe Lake Country Club was another winning year for KBOR charities. This year’s tournament brought out 78 players and raised over $9,300. The KBOR Annual Charity Golf Outing is a perfect example of REALTORS® and their Affiliate Members working together for a common cause; the children of Kosciusko County. Every single dollar raised stays in Kosciusko County. Among many other initiatives the monies fund three annual $1,000 College Scholarships, including the “Spirit of the Heart” Award honoring late REALTORS® who made an impact in their communities. The 2017 KBOR Golf Outing winners are Team Tuttle Mortgage, LLC; Tom Tuttle, Scott Beasley, Scott Laugher and Andrew Wolf. The entire day would not have been made possible without the support of KBOR’s golf outing sponsors: North American Title Company, Meridian Title, Beacon Credit Union, Mutual Bank, Lake City Bank, Aardvark Home Inspectors, Wetzel Insurance, Fidelity National Title Company, Ruoff Home Mortgage, First Federal Savings Bank-Rochester, J.K. Walker & Associates, PNC Bank, Sally Bailey of Coldwell Bank Roth Wehrly Graber, the Deb-Paton-Showley Group, Reecer Properties, Ace Pest Control, Bailey Moore Foundation, Brian Peterson Real Estate Group, Michelle Cabrera, Center Title, First Federal Savings Bank- Huntington, Gary and Liz Decker, INterra Credit Union, Metropolitan Title Company, Mid America Mortgage, Old National Bank, Pier 13, T.L. Jackson Construction, Inc., Todd Realty, Tuttle Mortgage, Union Home Mortgage and Brick & Beam Home Inspections. KBOR thanks all of their sponsors, golfers and volunteers for another tremendous year of fundraising and golf.